One of my all-time favorite moisturizers? Bliss Best of Skintentions. I've actually already given you a rundown of just what makes this moisturizer so great (click here for a recap). So let's get right into the amazing giveaway, shall we? 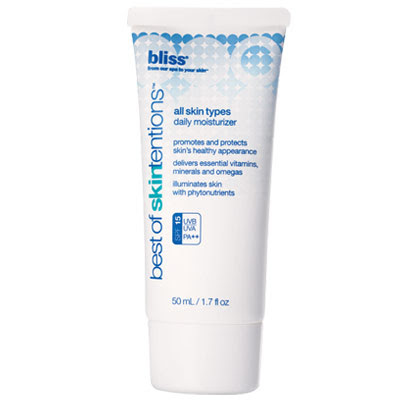 One lucky winner will receive his or her very own bottle of Bliss Best of Skintentions, valued at $35! Entering is easy. Simply enter your name and email address in the box below. 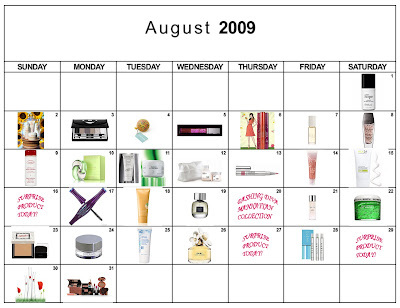 The winner will be selected on Wednesday, August 26 and notified by email. It's that simple! This giveaway is open to US residents only. Giveaway runs until Tuesday, August 25 at midnight. One entry per person, email address and IP address. Multiple entries will be disqualified.